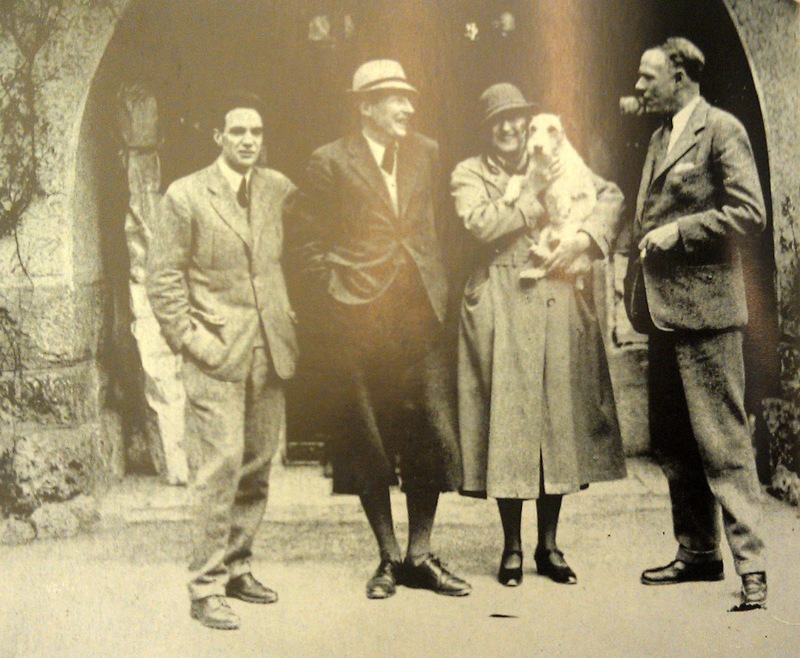 The extended party, Thompson biographer Peter Kurth, (American Cassandra, p. 176) wrote, was "one of the great parties of the 1930s, a fabulous, week-long bash that went on through New Years." 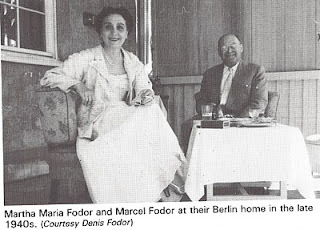 One of the guests, M. W. Fodor, a foreign correspondent based in Vienna, described the party as "a week of unadulterated pleasure enlivened by witty companions and his lovely [wife] Marta's gypsy songs performed nightly to her own guitar accompaniment." (quoted in Sanders, Dorothy Thompson: A Legend in Her Time, p. 179). Though people who attended the party had different recollections about it, this extended celebration was certainly memorable. From accounts of the party written by the biographers of Thompson (Sanders 1973, Kurth 1990, and Hertog 2011), Lewis (Grebstein 1962 and Shorer 1961), and the couple (Sheehan 1963), we can piece together a good, though sometimes contradictory, picture of the event. This list of people attending the party is incomplete. 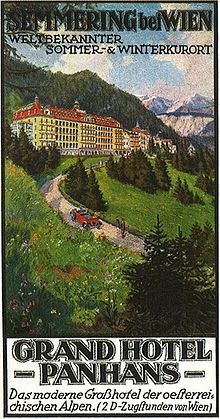 According to Hertog (p 198), a Thompson biographer, "On most days, there would be as many as thirty or more people in residence in the hotel or their villa. In addition, there were others who were day guests." 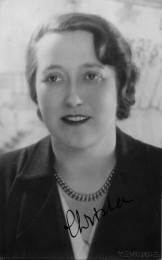 Among those at the party were three family members, including their son Michael (2 1/2 years old) and Dorothy's sister (Margaret Wilson) and young niece (Pamela Wilson). Also, three of Dorothy's former journalist colleagues with their with their wives: M.W. and Martha Fodor (in 1932, he was the Vienna correspondent for the Manchester Guardian); John and Frances Gunther (he was the Vienna correspondent for the Chicago Daily News and Frances wrote for an English newspaper); and Edgar Ansel and Lilian Mower (he was the Chicago Daily News correspondent in Germany; she was also a writer, publishing often in American magazines). Each of these three couples had brought their only child with them to the Semmering Christmas celebration (Denis Fodor, Johnny Gunther, and Diane Jane Mowrer). The largest group of guests was comprised of writers and others working in the arts. Among them were Adolphe Manjour (an American actors whose career began in the 1920's and lasted until the 1950's); Robert Nichols and his wife Norah Nichols (he was a English poet well know for his war poems); Baron Lajos von Hatvany and Baroness Christa Hatvany Winsloe (he was a liberal Jewish Hungarian landowner, a writer, and a literary scholar; she was a sculpturess and writer); Virginia Peterson and Prince Paul Sapieha of Poland (they got engaged at the end of party and married in 1933; she was an American writer and critic); Alexander Frere Reeves and Patricia Wallace (they were married soon after the party; he was a publisher and she was the daughter of writer Edgar Wallace); Russell and Marcia Davenport (he was on the editorial staff of Fortune Magazine; she had worked on the staff of the New Yorker, and was launching a successful career as a novelist); Phillip and Lily Goodman (he was a successful Broadway producer); and Nicholas Roosevelt (he was the American minister in Hungary in 1932; he left that post in 1933 and had a long career as a journalist and writer). The plan was for a party with skiing and tobogganing; tea-dances at the hotel; and most meals together (Kurth 177). Dorothy saw the party as "a kind of winter festival in which everybody would be out of doors all day long, all healthy and sportive and not needing lunch. She had planned breakfast and dinner only, with plenty of time for the servants to clean out both the villa and the dépendance. Unfortunately, the plans were frustrated by the weather. 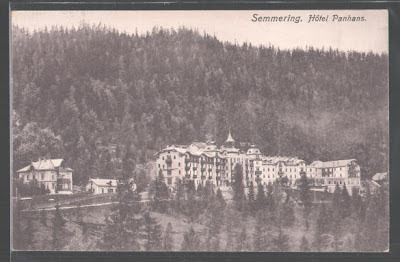 There was little or no snow on Semmering during the Christmas holiday. Sheean (p. 213) wrote that the weather "thwarted Dorothy's plans for extensive outdoor activities." 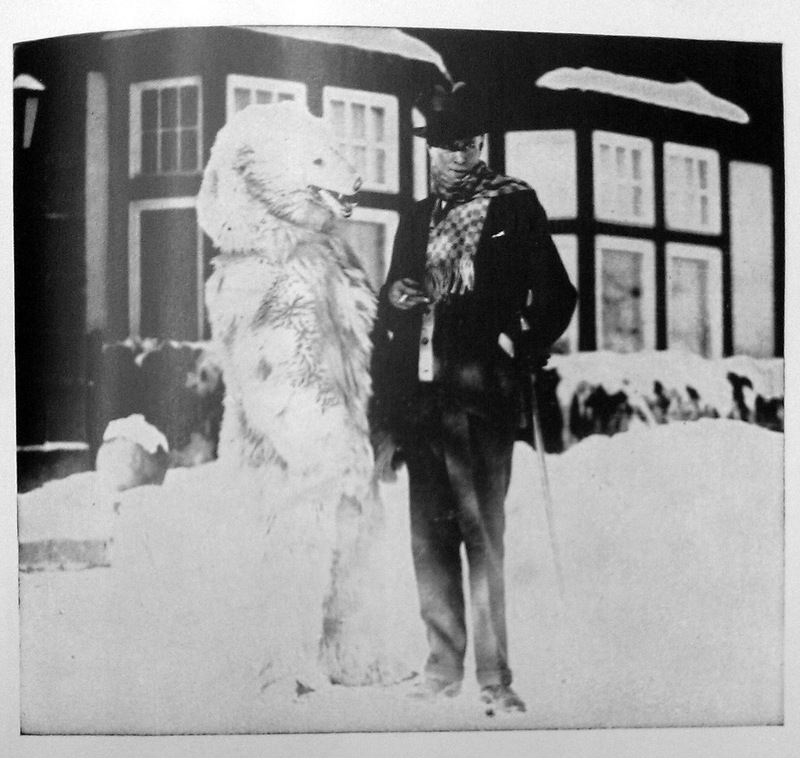 Because of the conditions, including a lack of snow and very cold weather, guests preferred to stay indoors. They had little to do there and [according to Lilian Mowrer] grew tired of each other. by Kurth; a similar picture is in Sheean's Dorothy and Red. With rain, fog, and unpleasant cold, wrote Kurth (p. 177), the outdoor celebration planned by Dorothy, was not possible and there was not much to do "except eat, sleep, and drink." At the hotel annex, every night the guests "repaired to dance and talk and booze until dawn." According to Sanders (p. 179), "By mid afternoon under gray skies, there was nothing to do but huddle indoors and begin serious drinking." According to Hertog (p. 198), because of rain, the party participants were stuck indoors for the ten days of the party. 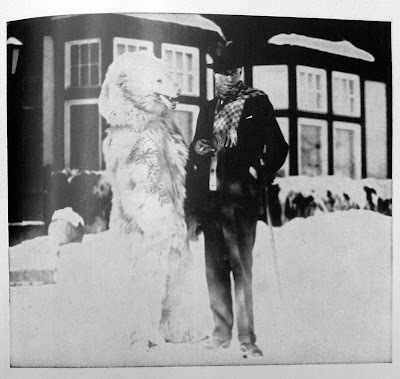 He wrote, "What was to be a winter festival with skiing, sleight riding, and fresh, crisp mountain air became of Dionysian brawl." In his account of the party Sheean (p 213) wrote that with guests spending most of their time indoors, "The drinking that went on was excessive." Hertog (p. 198) described the situation like this: The children went wild and the adults grew bored, drunk, and argumentative. According to Kurth (p. 177), "The children started to hit each other with shovels and snowshoes." from Vincent Sheean, Dorothy and Red. Some of the guests found the atmosphere at the entended Christmas party to be tense. The main source of the tension was that Sinclair Lewis was not drinking alcoholic beverages. Kurth (p. 177) described the situation thusly: The atmosphere was tense because, despite Lewis' history of drinking, he was "the only one at the Semmering party who abstained from alcohol. He went to bed at eleven o'clock each night and left his guests to get drunk by themselves....It actually made for tension in the house, because everybody present, knowing his record, had to wonder just when he would fall off the wagon. They were expecting Red to take a drink at any moment...."
None of the accounts of party suggests that Lewis was not a good host. In fact, Sanders (p. 179) maintained that he was "at his best playing host." However, it was not easy. According to Sheean (p. 213), "Red was for the greater part of the time in a mood of desperate depression." 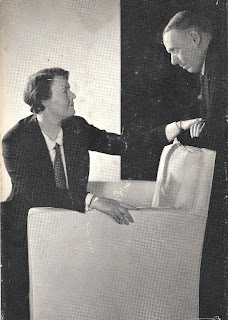 Hertog (p. 198) explained, that while Dorothy talked politics in German with her friends, Hal [as Sinclair was called by some friends], sick of what he called "the situation," and not knowing a word of German, withdrew into a deep depression." Part of the problem, Peggy -- Dorothy's sister -- explained to Sheean, was that "Red couldn't stand Dorothy's friends." (Sheean 213). 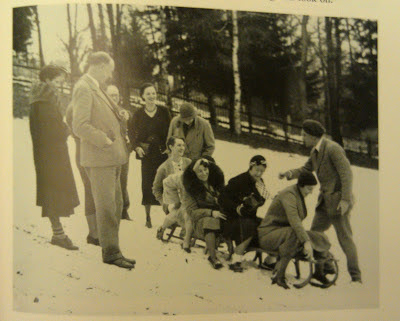 The 1932 Semmering Christmas, while memorable, exposed the growing rift between Thompson and Lewis. It likely added to the growing grievances felt by each. They saw each other less and less in the years that followed and officially separated in 1937, followed by a divorce in January 1942. Of course, it should also be mentioned that the most remarkable occurrence of the Christmas party was that Dorothy fell in love with Christa Winsloe, though the proclaimed that she did not love Lewis any less because of it. 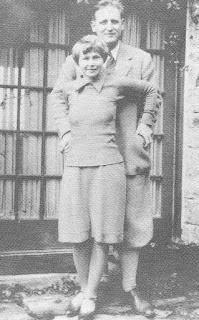 Thompson spent a few months in 1933 traveling in Europe with her new love, and the two spent much time together in the United States during the following couple of years. By 1935, they had drifted apart. In the meanwhile, Thompson's fame as a columnist and political commentator had continued to grow.